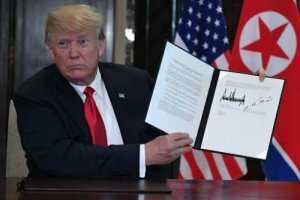 Donald Trump and North Korean Leader Kim Jong Un signed what the US president described as a “very important, comprehensive” document following the conclusion of their “really fantastic” whirlwind historic summit in Singapore, the first between a US president and North Korean leader that came after decades of hostility. 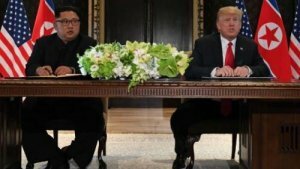 “The letter that we are signing is very comprehensive, and I think both sides will be very impressed with the results,” Trump said as he sat alongside the North Korean leader at a large wooden table in front of a bank of U.S. and North Korean flags to endorse the document, which however produced no new specific commitments from Pyongyang to surrender its nuclear weapons aside from broad generalities. Trump said more information would come out “in just a little while” and did not say what the agreement entailed, but some had already managed to extract the key contents from the letter Trump held up. Notably, the U.S. and N. Korea agree to follow-on negotiations led by Sec. of State Mike Pompeo and a DPRK counterpart. In other words this is just the first of many summits. Speaking to reporters, Trump also said the he would “absolutely” invite Kim to the White House to continue their talks, meanwhile Kim called the document “historic” and said it would lead to a new era in the U.S.-North Korea relationship. To be sure, analysts had expected both Trump and Kim to sell the summit as a success regardless of outcome since both have much at stake. At the signing ceremony, Trump said he was “very proud” of what happened Tuesday and thanked Kim, reiterating that it was an “honor” to meet. The ceremony concluded a summit meeting that appeared impossible just one year ago, when both men’s threats against each other fueled an growing nuclear crisis. Just last summer, Trump mocked the North Korean leader as “Little Rocket Man” as the two exchanged barbs over their weapons programs. Kim responded by dismissing the president as a “mentally deranged dotard” who would “pay dearly” for his threats against Pyongyang. Trump and Kim, however, appeared to have a friendly rapport during their day together at the Singapore island resort. “The past worked as fetters on our limbs, and the old prejudices and practices worked as obstacles on our way forward. But we overcame all of them, and we are here today,” Kim said through a translator as the two met for the first time. “It’s going great. We had a really fantastic meeting. A lot of progress. Really, very positive, I think better than anybody could have expected, top of the line, really good,” Trump said as he stood next to Kim after their meetings. He then said that “we’re going to take care of a very big and very dangerous problem for the world”. The summit marked the first stage in a process that the US, Japan, China and South Korea, and certainly the rest of the wor;d hope will lead to denuclearisation on the Korean peninsula. Trump is scheduled to hold a press conference at 4pm local time to discuss the negotiations. Yet where the market and watchers may be disappointed is that despite the optimistic rhetoric, the summit did not appear to produce an ironclad denuclearization agreement or a peace treaty to end the Korean War — two possibilities Trump raised ahead of the talks. Asked if Kim had agreed to denuclearize, Trump said, “we’re starting that process very quickly. Very, very quickly. Absolutely.” U.S. and North Korean officials worked down to the wire to bridge the gap between what the two nations say denuclearization means. The United States wants the complete, verifiable and irreversible denuclearization of North Korea, while Pyongyang wants disarmament across the Korean peninsula and other security assurances. On the night before the meeting, Secretary of State Mike Pompeo told reporters it would provide a “framework” for future negotiations. As we noted earlier, critics said a summit that ended without a declaration on denuclearization would amount to a propaganda win for Kim, elevating him to legitimacy on the international stage. Regional experts are also skeptical Kim will give up any of his weapons regardless of a declaration, saying the Kim family playbook is for the regime to make promises, drag out its efforts to carry out those pledges as it gets concessions and then later renege altogether. Trump did not answer a reporter’s question on whether the two spoke bout Otto Warmbier, the American student who died, shortly after his release from North Korean imprisonment in a coma, exactly one year ago. As a reminder, in the lead up to the summit, North Korea released three other Americans who had been held hostage. Pompeo brought them home last month on the second of his two visits with Kim to lay the groundwork for Tuesday. The market reaction to the signing of the “broad” letter has been muted, with the won falling and the USD/KRW climbing 0.2% to 1,077.45 after fluctuating between 1,072.85-1,078.10 as investors no longer expect more to happen for the day after the summit between Trump and Kim ended with the signed document, says Park Ok-hee, an economist at IBK Securities. South Korea’s currency had rallied for five consecutive days to June 7 before slipping on Friday as traders bought the won ahead of the event. The gains were the longest winning streak since early January. 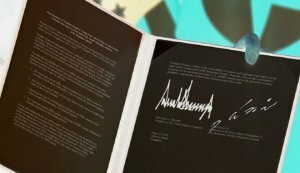 Commenting on the modest increase in Euro Stoxx 50 futures, Bloomberg notes that President Donald Trump and North Korean leader Kim Jong Un have signed a “very important” document, although we’re not sure yet what’s in it. Varathan noted that this isn’t first time where we have a high-level agreement and some dispute thereafter; China trade talks is one famous example as Trump administration has got the penchant of getting quite frustrated quite quickly; he added that he is not quite sure yet how this will play out for the Korean won in the longer run because opening up North Korea could also mean South Korea would have to subsume some of the costs of integrating North Korea with the world. 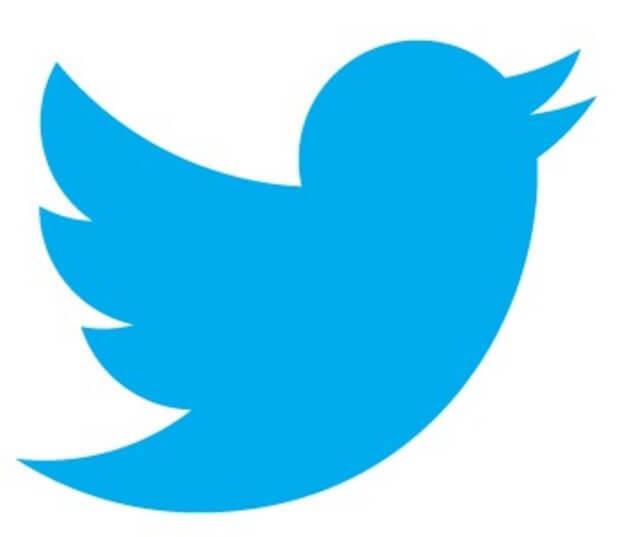 The bottom line came from Stephen Innes, head of trading for Asia Pacific at Oanda, who said that “there’s not much of a reaction as traders realize this is little more than the prologue to a long drawn out and lengthy process that could still go sideways. But this is good nonetheless for regional risk”. (TLB) published this article from ZeroHedge, where it was compiled by Tyler Durden.